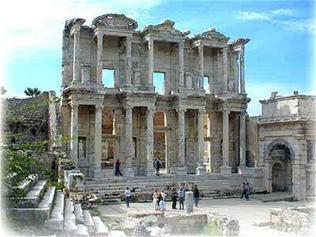 Ephesus which was established as a port, was used to be the most important commercial center. It played a great role in the ancient times with its strategic location. Ephesus is located on a very fertile valley. The temple of Artemis is known as one of the Seven Wonders of the Antic world. Mediterranean cuisine is exceptional because of its regional variations, its range of ingredients and its flexibility, which is a result of constant influence different nations had on each other. Some people claim it is one of the world’s healthiest, even calling it a diet. The most raised animals are sheep and goats, due to the fact that most of the terrain in these parts is perfect for these animals. 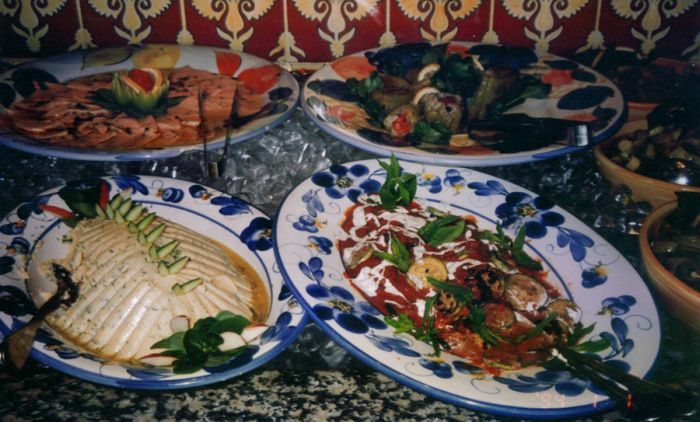 Fish and seafood dishes are also widely spread and very popular. Olive oil and garlic are the most popular spices, and grilled meat, falafel, hummus and pita bread are most known it the eastern parts. The Mediterranean can be divided into three culinary regions: South Europe(Italy, Spain France) which is best recognizable for its wines and herbs, North Africa(Morocco) which are flavored by spices, and eastern Mediterranean (Egypt, Greece, Turkey, Syria, Israel). It is considered to be one of the three main cuisines of the world because of the variety of its recipes, its use of natural ingredients; its flavor’s and tastes which appeal to all palates and its influence throughout Europe, Asia, the Middle East and Africa. The cuisine originated in central Asia, the first home of the Turks, and then evolved with the contributions of the inland and Mediterranean cultures with which Turks interacted after their arrival in Anatolia. A main meal will usually start with soup and the meze, a variety of small cold and hot dishes which are made for sharing. The main course is usually meat or fish. Turks always eat bread with their meal and main courses are usually served with rice. Typically çoban salatasi, a salad made of tomato, cucumber, parsley and onion, dressed with olive oil and lemon juice, will be offered as a side dish. 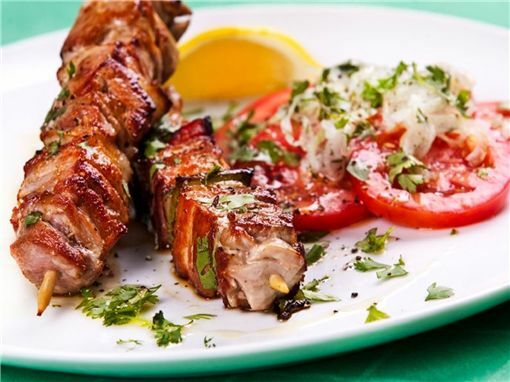 Lamb is the most popular meat and prepared in a variety of ways, including sis kebap ; (grilled cubes of seasoned meat on skewer). sis köfte;, which are like small lamb burgers are well worth trying. Those who prefer something hot and spicy should try ;Adana kebap;, which is made of minced lamb but with the addition of spices formed around a flat skewer. There are numerous variations and regional specialities of kebap. Somewhat rich but very tasty, is the Iskender ,named respectively after Alexander the Great and the town in which it is originated, which is slices of döner meat laid over small bites of a freshly cooked flat bread and covered with tomato sauce and hot butter all served with yoghurt. Turks traditionally are fond of stews called sulu yemek or ev yemegi (home cook). 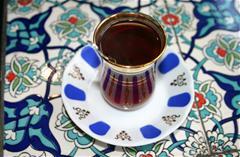 Tea is the main source of caffeine for the Turks. Turkish tea is typically prepared using two stacked kettles especially designed for tea preparation . It is prepared in a special way, by brewing it over boiling water and served in delicate, small clear glasses to show the deep red colour and to keep it hot.All the way at its brewing to the way it is enjoyed in every house, cafe, street, or restaurant in Turkey. Turkish coffee; its history, significance in social life, and the ambiance of the ubiquitous coffee houses. Without some understanding of this background, it is easy to be disappointed by the tiny brew with the annoying grounds A few words of caution will have to suffice for the purposes of this brief primer. First, the grounds are not to be swallowed; so, sip the coffee gingerly. Secondly, don't expect a caffeine surge with one shot of Turkish coffee, it is not "strong", just thick. . Turkish coffee is not the kind of coffee you grab on the way to work...it's a coffee for quiet enjoying. 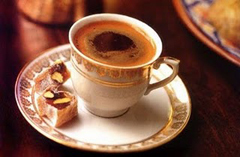 Turkish coffee is especially good for those who love... life!